We hope that our content is useful to you. If you'd like to continue hearing from us, do nothing, if not either unsubscribe or leave a note in the comments and I will unsubscribe you. Colville? In Auckland, New Zealand? Last January, hubby and I were taking a tour of Auckland, New Zealand, and the name on the bronze plaque pointing to a feature in the harbor really caught my attention: Colville Channel. What?? How did that name get transplanted there??? I forgot all about asking; this tour was on our first day. September is the perfect time for a road trip – the tourists have mostly gone home, the roads are in good condition and the weather is perfect! What could be better? Well, how about a Genealogy Road Trip? Why not get a few friends together and come to Kelowna for the “Harvest Your Family Tree” Genealogy Conference, taking place from Sept. 28-30, 2018 – Western Canada’s Largest Genealogy Conference? Sharing the costs and enjoying the companionship of like-minded friends is a wonderful way to see the countryside. All you need is your passport! Don’t want to drive? Our airport has direct flights between Seattle and Kelowna via Horizon Air. 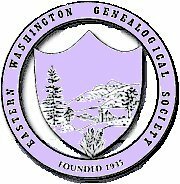 We are thrilled to offer Eleven acclaimed speakers, including: Blaine Bettinger (genetic genealogist/DNA specialist); Cyndi Ingle (Cyndi’s List); Helen V. Smith (from Australia); Dave Obee (Canada’s preeminent genealogist); Lesley Anderson (Ancestry). Of the 31 workshops on offer, only five are on Canadian records so there is something for every researcher no matter where in the world you are searching. We have great rates at two local hotels: The Kelowna Inn & Suites (www.kelownainnandsuites.com, 1-800-667-6133) is offering rooms at only $99 per night (plus taxes), including breakfast; The Ramada Hotel (a full-service hotel; ramadalodge@rpbhotels.com, 1-800-665-2518) is offering $119.99 per night (plus taxes). This is definitely budget-friendly, especially if you share the room with a friend or two. Both hotels are located along Hwy. 97 and a short drive to all conference venues (carpooling can also be arranged). When making your reservation, be sure to tell them you are coming for the Genealogy Conference. While in Kelowna, enjoy our great shopping, many beautiful wineries, historic sites and get in some genealogy research at our KDGS Family & Local History Resource Centre and Kelowna’s other great archives and specialty libraries. For more information, visit our Conference pages at https://kdgswix.wixsite.com/kdgs/ or follow the link from our homepage, www.KDGS.ca. Register soon as some workshops are filling up quickly! Questions: email me at Conference@KDGS.ca.